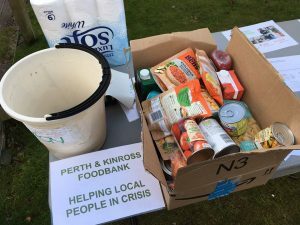 Crieff food bank are particularly busy due to hold ups with universal credit and housing/rent issues. Please don’t bring any perishables. We can’t use them.